Last weekend we were at 2 different events for which we produced the event coin. A few remaining coins are available now at our website. Last week, we received a number of new editions of the beautiful Area 51 geocoin. These are editions which are made in a very limited quantity (of each edition only 21). We expect 2 more versions which are specially made for us and which will become available at the Geocoinfest in Cologne. Also, during the Geocoinfest we will have the designer of the Area 51 Geocoin at our booth (team Kizb)! Come to our stand if you want ot meet him. Only 21 made! Every coin as a nummer of the series (#/21). This is one of those times. This is the UFO geocoin in the Area 51 Series. These look like something right out of a 1950's black and white movie. And if the large size and great looks is not enough, the outer ring also spins around the center section. 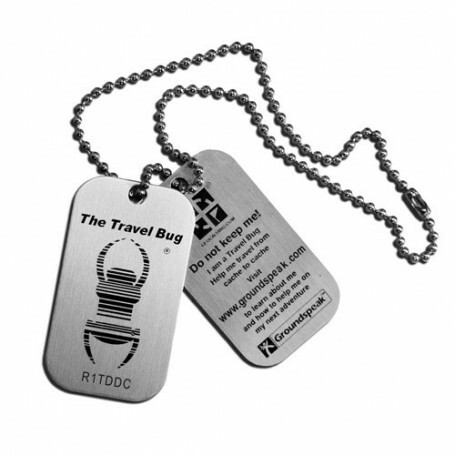 For the Marine Dagen 2011 event, a Geocoin has been designed by team 'de Kikkers'. It is a beautiful geocoin with lots of detail in the ship. The geocoin is 44 mm and 3 mm thick. Made for the Grenzeloos Event. There are only 80 pieces made in antique silver and 25 in polished gold. Seychelles the starfish loves caches near the sea. She has 5 arms which makes eating a nice meal of mussels that much easier.